Wyoming is expecting to have continued demand for highly qualified nurses just like any other state. If a career in nursing has been on your mind and you have the desire and willingness to help others to ease their suffering, it’s an excellent time to consider nursing career options in Wyoming. Wyoming offers nurse schools and nursing programs to either begin your career or continue your nursing education. It is one of the most rewarding careers both personally and financially. 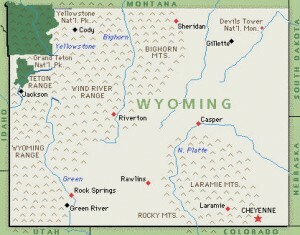 According to the Wyoming State Board of Nursing (BON), LPNs make up around 13% of the nursing workforce in the state. LPNs are considered essential to patient recovery and care. When you choose to begin your career in nursing as a LPN, you must complete an accredited program of one year in length with relative hands on experience. Once you have graduated, you are eligible to take the NCLEX-PN exam. On a daily basis, a LPN can expect to perform many tasks including bathing and feeding and performing diagnostic procedures. They may also be responsible for administering medications, taking patient measurements and performing other duties that are assigned to them by either a RN or physician. There are seven accredited nursing schools within the state and two RN degrees that are recognized by the Wyoming State Board of Nursing. You can decide to take the Associate Degree in Nursing (ADN) program which is 2 years, or you may prefer the more advanced and intensive Bachelor of Science in Nursing (BSN) program which is 4 years. Either degree option will allow you to take the NCLEX-RN exam. RNs are essential for patient care and can expect to perform many duties including setting up IVs, treating medical emergencies in varying areas, and supervising both CNAs and LPNs. They might also be tasked with taking vital signs, diagnostic testing procedures, administering medications and injections and performing CPR. Prerequisite courses are usually required for both LPN and RN degrees and vary between schools but usually include core courses such as English, math, chemistry and biology. Online degree programs make it possible to begin or advance your nursing career at your pace without having to attend a full-time educational institution. 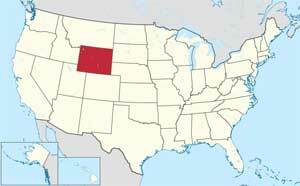 Many degree options are available in Wyoming for nursing programs. Some of these include CNA, LPN, LPN-RN, LPN-BSN, RN-BSN and BSN-MSN. Care should be taken to check with your BON to make sure that your program is accredited properly.